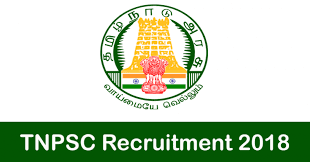 TNPSC recruitment 2018 – Tamil Nadu Public Service Commission recruiting 30 candidates to fill their Assistant Jailor job in Tamilnadu. Aspirants are requested to go through the latest TNPSC job notification 2018 fully, Before applying to this job. Tamil Nadu Public Service Commission (TNPSC) career is comes under the Government job. This is the best opportunity for the job hunters who are looking for the Career in TNPSC. Tamil Nadu Public Service Commission organization job applications are collected by online mode, through http://www.tnpsc.gov.in/. Tamil Nadu Public Service Commission (TNPSC) has released the following vacancy details with their recent recruitment. They give huge surprise to the candidates. They invites 30 Candidates to fill their vacancies. You can check their job vacancy details by below. According to G.O. (Ms).No.139, Personnel and Administrative Reforms (M) Department, dated 07.10.2009 the applicants who possess the Professional degree or any degree are eligible to this recruitment. (For details refer Annexure-II of the Notification). For “Others”, Differently Abled Persons are eligible for age concession upto 10 years over and above the maximum age limit prescribed above. (a) No maximum age limit for the applicants who belong to SCs, SCs(A), STs, MBC/DCs, BCs (Other than Muslims) and BCMs. (b) The maximum age limit is 48 years for “Others” (i.e) applicants not belonging to any of the above said categories. (c) The above mentioned age concession will not apply to Ex-Servicemen applicants those who have already been recruited to any class or service or category. To apply for the 30 Assistant Jailor job in Tamil Nadu Public Service Commission the candidates requested to pay the application fees by notified mode. The payment mode may be both online/offline. Here below the caste wise application fee payment details are given below. Tamil Nadu Public Service Commission (TNPSC) 30 Assistant Jailor Job salary details has been given below. The candidates can check various salary information below.